January 28, 2019- SeaWorld announced today that Kayla, an orca held at its marine park in Orlando, Florida, has died. 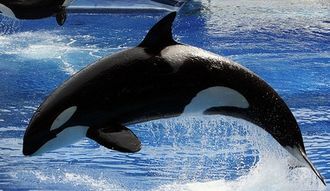 Kayla was 30 years old having spent her entire life in captivity since her birth in 1988 at SeaWorld’s San Antonio park. Kayla died at a far younger age than would have been expected of a wild orca (ave. 46 years). SeaWorld has failed to release reports detailing the causes of deaths of the orcas it holds captive. Last November, WDC joined other animal welfare and conservation groups legally challenging the US National Marine Fisheries Service’s failure to enforce permit provisions requiring SeaWorld to release necropsy and veterinary records of its deceased orcas.